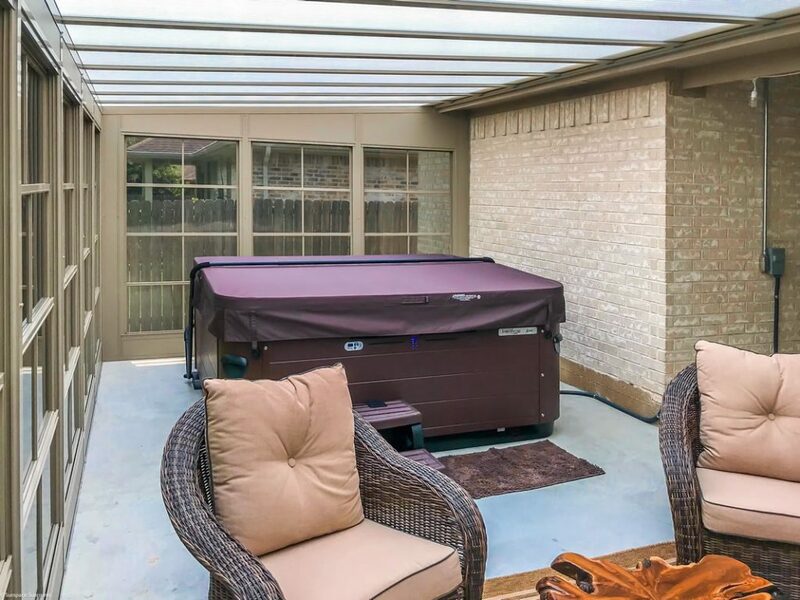 This client is ready to enjoy their spa/hot tub in any conditions. 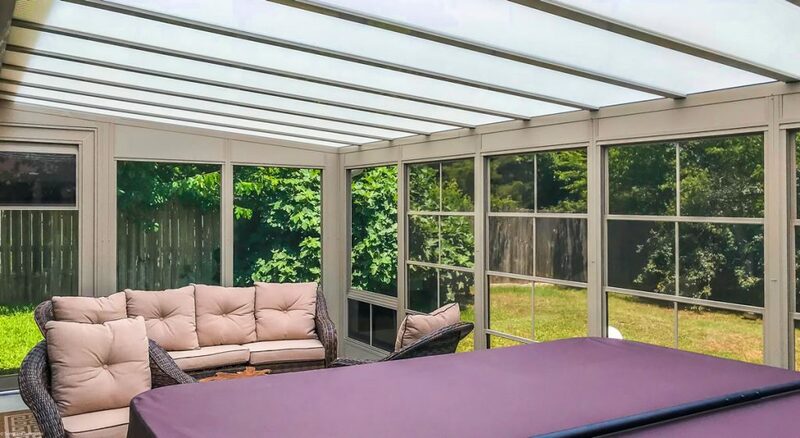 By using our Weathermaster Model 200 Vertical stacking Sunroom with Hi Impact Acrylic roof system it is a true sunroom. The Heatstop Pearl acrylic allows 50% light transmission while blocking 75% of the sun’s heat. It also blocks 100% of the harmful UV rays and has a 30 year light transmission warranty. 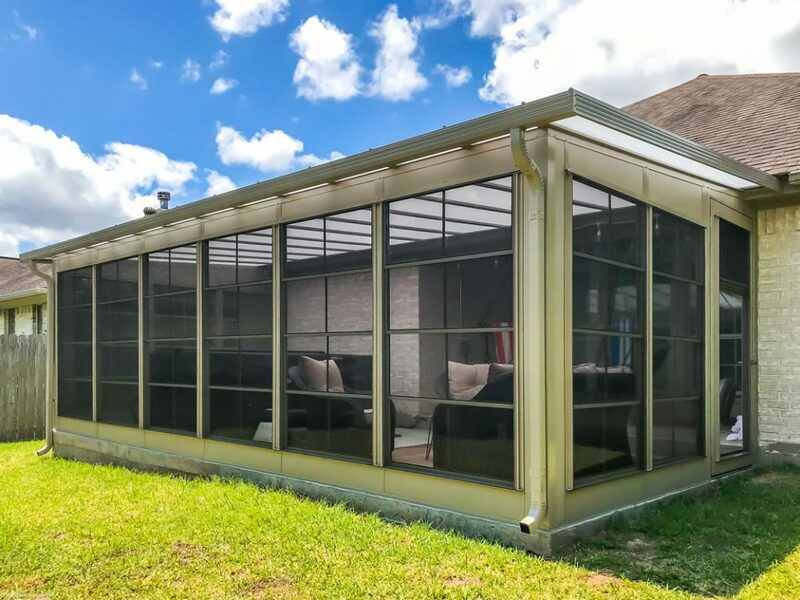 The window system is our Weathermaster Vertical stacking windows.